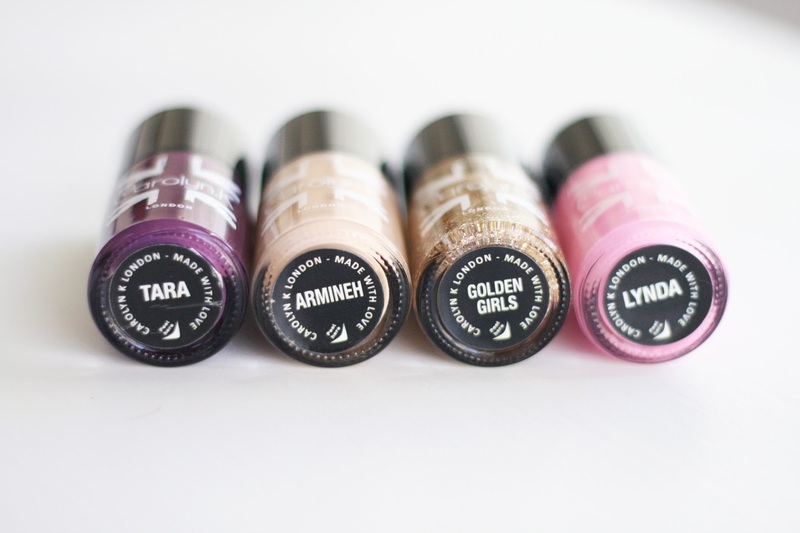 Carolyn.K kindly sent me some gorgeous nail paints and I just had to share them with you, they are a new brand discovery for me and what I love most about them is they are a 100% British company! Created, produced, packaged in the UK, how lovely is that? 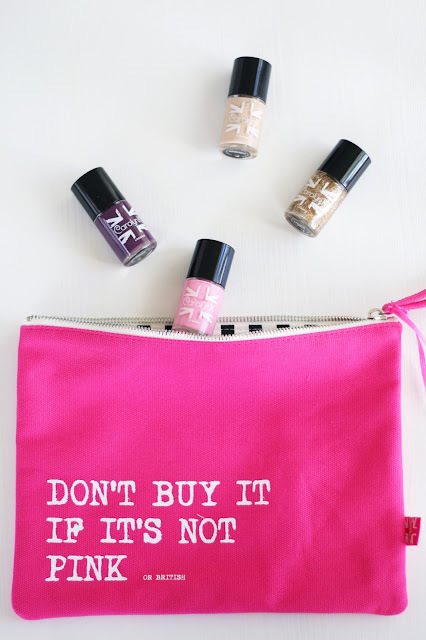 Don't buy it if it's not pink or British! I just love how sassy this brand is! The make up bag instantly brightens up my day and what a wonderful gift idea right? Its really luxurious and such a great size, perfect for travelling! Now onto the paints, I tried out the shade 'Lynda' which is a subtle baby pink perfect for everyday wear. The paint is lovely quality, 2 coats and you're good to go and the longevity is pretty substantial too, my nails lasted a week before I needed/wanted to change up the colour. As Carolyn.K says life's too short to wear the same colours everyday! I couldn't agree more. Thanks again to Carolyn.K for the gorgeous gifts!